THERE is an archaic appeal to the Tesseron cognacs. They are aged up to over three generations in fine Limousin oak casks, patiently but in a 12th century cellar that was once part of the crypt of a church. They are, tens of years concentrated into drops of golden elixir, to be savoured with extreme delicacy. Taste from the far past is complemented by traditional methods still used in Tesseron, such as having horses to plough part of the vineyard and organic techniques to keep the cycles balanced. 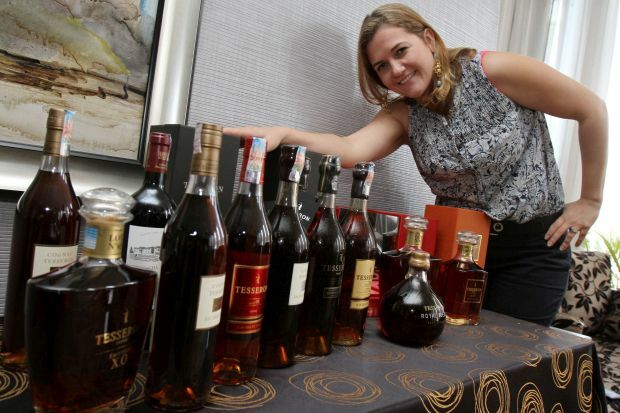 The cognacs said to be highly appreciated by connoisseurs, were the jewels of a Chinese lunch hosted by Mutiara Palace Restaurant in Mutiara Damansara, recently. Melanie Tesseron, the fourth generation of the family-run Tesseron cognac house in Chateauneuf-sur-Charente, southwestern France, was present to shed some light on the brand. The cognac house was started by her great grandfather Abel Tesseron in 1905. He adopted a long-term policy of building up stocks of eaux-de-vie (fruit brandy from which cognac is made) and conserve them in the 12th century crypt. The vast Tesseron estates are located in Grande Champagne and Petite Champagne, two top growth districts in the Cognac region. All three traditional Cognac grape varieties namely Ugni Blanc, Folle Blanche and Colom–bard are still grown on the estates. According to Melanie, this was a rare find as Folle Blanche and Colombard have almost disappeared in the region. The fine drink is fast seeping into the Asian market that is becoming more interested in exclusive cognacs, despite the wine-drinking culture that has been getting popular in recent years. Melanie is also based in Hong Kong now to explore the market. China has become the brand’s second largest market, close on the heels of Russia. She said Chinese food offered a diversity of flavours that could be matched perfectly with the cognacs known for their complexity — a result of the artful blending at the house. 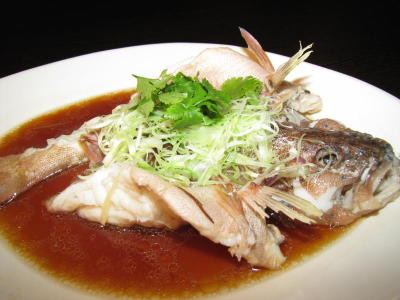 Good pair:Tesseron cognacscan heighten the taste of Chinese food, like this Live Soon Hock Fish Steamed with Soya Sauce. The cognac’s distillation on lees has also enhanced its complexity and body. “People particularly like our cognac, they’re soft, smooth and complex, as opposed to having the burning sensation that cognacs are commonly associated with. They are in light amber hues, which reflect the cognac’s purity. “Ours is a small production for the niche market, it is for collectors who are looking for something different. “Our youngest cognacs are from 10 to 15 years old, hence our tagline ‘XO and Beyond’,” she said. Unlike wines that should be paired according to the intensity of the dish’s flavour, Melanie said there was no such rule in the world of cognacs as its complexity allowed it to be paired with different dishes. “You can match them and do a bit of tasting,” she said. The youngest of the range was served first to allow us to taste the change of intensity and robustness. The Lot N90 stroke a strong impression with its burst of flavour laced with fruity, nutty hints. The clear, crisp body convinced one of its purity. It is made from Ugni Blanc grapes and a blend that has combined the goodness of Grande Champagne, Petite Champagne and Fins Bois. The light-coloured drink had certainly added freshness and vivacity to the dishes — Live Frog Deep Fried with Pepper and Salt and Pan Fried Fresh Scallop. Next on was the Lot N76, aged for more than one generation in Limousin oak casks. It is made purely from Ugni Blanc grapes; it is also a delicate blend of reserve stocks of Grande Champagne. The golden drink gripped one immediately with expressive notes of nuts and tobacco, it is slightly more dry that the first one. The sensation flowed through one’s nose, tastebuds and throat, but like what Melanie said, it did not burn. Live Soon Hock Fish Steamed with Soya Sauce and Steamed Village Chicken with Soya Sauce, both offering different taste and textures, were enhanced by the drink. It was rather surreal drinking the Lot N53, knowing that it had been aged for more than two generations in oak casks. One would certainly be tempted to neglect the younger versions with this mahogany-imbued flavour and aroma lingering on. Its rounded body sent a flow of flavours through the palate, first it was rather peppery, then heady hints of dark chocolate and fresh herbs took over. The silky elixir was served with Homemade Beancurd and En Choy Fried with Garlic but frankly, the drink would have captured one’s full attention no matter how good the food tasted. Tesseron has more to offer. The Lot N29 XO Exception is aged for three generations, and there are the Royal Blend, Masterblend 88, Masterblend 100 and the Tesseron Extreme.